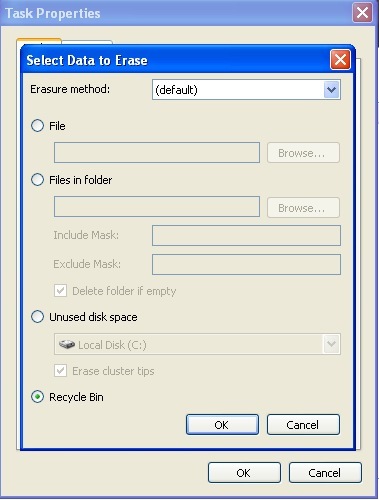 Most files can be deleted by simply putting them in the trash. If a file contains any information that is subject to PCI (credit card numbers - whether encrypted or not) or you have other sensitive patron information or a database, then you should erase it securely per PCI-DSS standard 9.8.2. This is because any files that are erased normally can sometimes be retrieved if the file is not over-written and securely erased. Windows does not offer a built in feature to securely empty the trash so you will need to install a small utility to do this. It has some benefits in that files put in trash can be erased on a periodic basis so the process becomes automatic. Find the installer on your desktop and install it. When installed, look for Eraser in your installed programs and start it up. 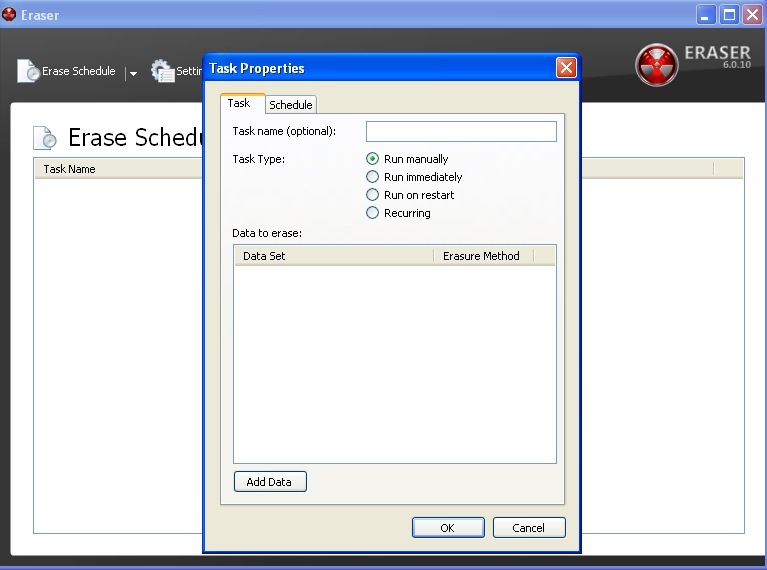 In the 'erase Schedule' window (shown below), right click and add a task so that you see the 'Task Properties' window. 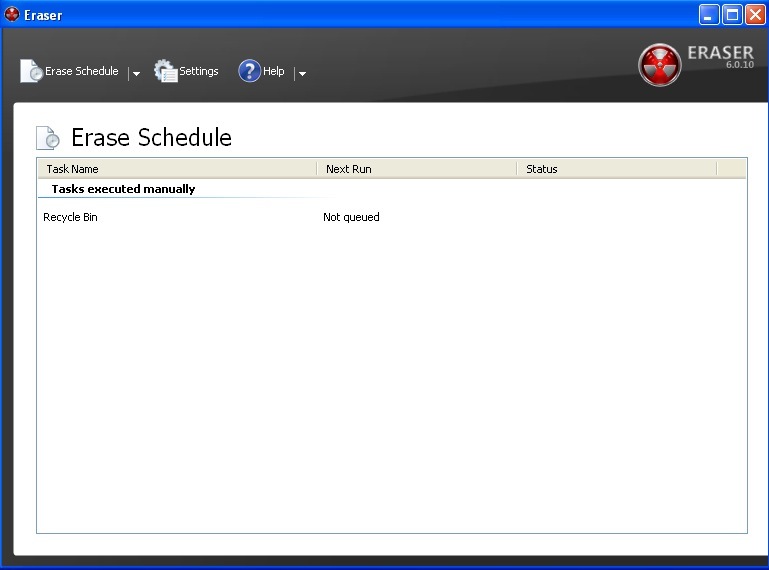 The current selection indicates to 'run manually', but you can change that if you want to schedule things periodically. Click on the 'Add Data' button at the bottom of the 'Task' screen (above) and you will see another window. On this, click recycle bin at the bottom. There are other options you can explore, but simply erasing the trash is sufficient for this example. Click ok to save this window and ok again to save the task. 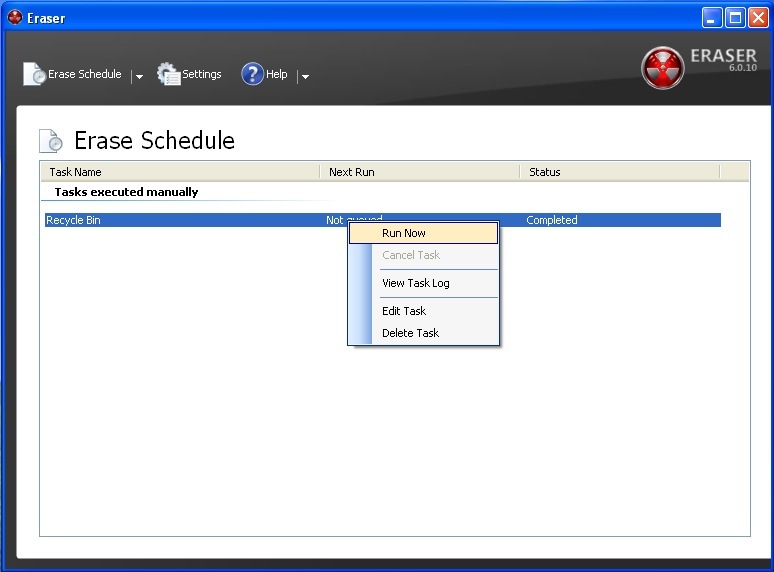 You will see the 'Erase Schedule' window again, with a task in it. Right click on the 'Recycle Bin' task and run it now. Anything that is in the recycle bin will be securely erased.